In fact the massive growth of wood pellets derived from the encouragement of a number of policies in Europe, more specifically the electricity business in the UK. In 2020 the world consumption of wood pellets is estimated at 22 million tonnes. Two power plants in the UK are 100% use wood pellets that Drax and Eggborough, requiring 10 million tons annually. 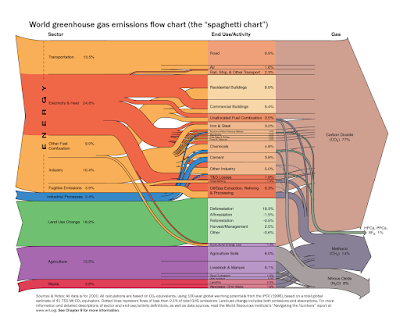 Other major needs are wood pellets from Western European countries, especially Italy. While in Asia, Japan and Korea are the two countries most widely consumed wood pellets. Whereas in 2024 the production of wood pellets is predicted to reach 50 million tons globally. Canada is one of the main producers of wood pellets which supply the needs of some countries above. The extent of the forest so abundant source of raw materials that make Canada one of the main producers of wood pellets. 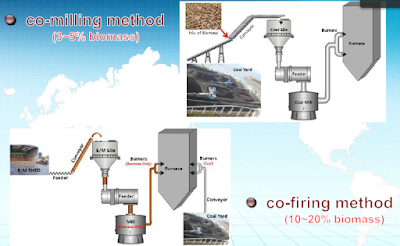 Russia is the other major country which began producing wood pellets. The extent of forests and abundance of raw material resources make Russia comparable to Canada in the production of wood pellets but mainly infrastructure problems is still a major barrier to the development of wood pellet industry in Russia. How about Indonesia? 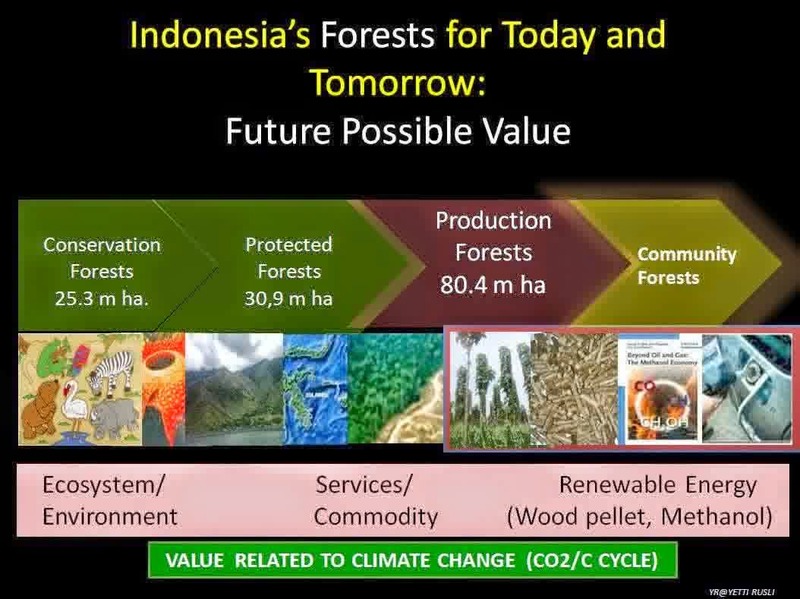 Indonesia also has a great opportunity to join in wood pellets business. 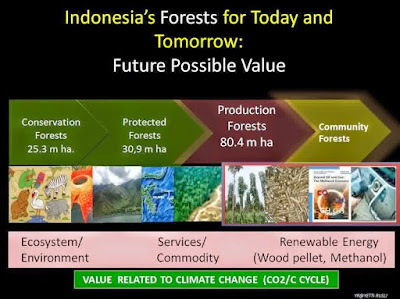 Although the forest area which can be used as a source of raw materials is not as large as area of Canada and Russia, but the tropical climate in Indonesia that makes the sun shines all year round is a kind of blessing. Thank God, this is one of the pleasures of Allah that we should be. Energy forests or plantations with short rotation crops (SRC) as calliandra can be cultivated with productivity four-fold compared subtropical regions such as Canada or Russia for similar plants such as Willow or Poplar. In addition, users of wood pellets in Asia such as Korea and Japan also will be looking for wood pellets from Asia prior to Canada or Russia. Natural or environmental sustainability issues are important things that must be considered, so that the business continuity and environmental sustainability are two things simultaneously maintained. The power plant is a major market wood pellets with large and long-term needs for environmental sustainability that needs to be a serious concern. Almost all the buyers of wood pellets for power generation will also require sustainable forest management practices and certification (FSC or SVLK) about the origin of the raw materials that could be accounted means that does not destroy the forest. Specifically for conditions in Indonesia, with an energy plantation or forest with integrated calliandra plantation with goat or cow farming activities will cycle sustainability and nature conservation will be maintained. Steam power plant with coal fuel is one of the biggest contributors to CO2 in the atmosphere, so if it can be replaced up to 100% or full with wood pellets as a carbon-neutral fuels will reduce CO2 emissions significantly. Rodenhuize 240 MW power plant in Ghent, Belgium is one example. 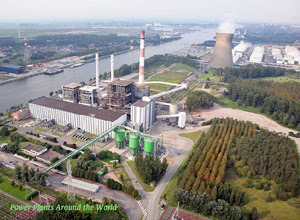 At first Rodenhuize is coal power plant then after that in 2011 using 100% wood pellets. Earlier in 2005 the power plant was modified so that it can work with co-firing of coal and wood pellets and in 2011 the plant switched to 100% of coal (coal) with wood pellets. The shift from coal to wood pellets has made Rodenhuize power generation reduce 1.6 million tons of CO2 emissions. Rodenhuize pattern seemed to be a reference and will be followed by coal power plants more especially in countries that have implemented environmental policies in the energy sector to compete lowering the temperature of the earth.